I really enjoyed reading this new novel from Jerry B. Jenkins. Packed with various twists and turns, the book will keep you reading for more. What I really find ingenious in this book is that it goes back and forth between Saul’s timeline and a more recent one. One chapter will bring you back in time when Saul was imprisoned in Rome, the following chapter will fast forward in the 21st century. Back and forth like that through the novel. It is very out-of-the-ordinary and will give you historical context as you advanced in the story. The book is fiction obviously but it makes you wonder if by any chances there would be some journals from Saul somewhere that we can read about his growing up years. I like the mystery surrounding the current events in the book as it keeps you on edge for reading more until you have completed the book. I, Saul would make a great gift for Christmas for the person in your life who likes mystery book. 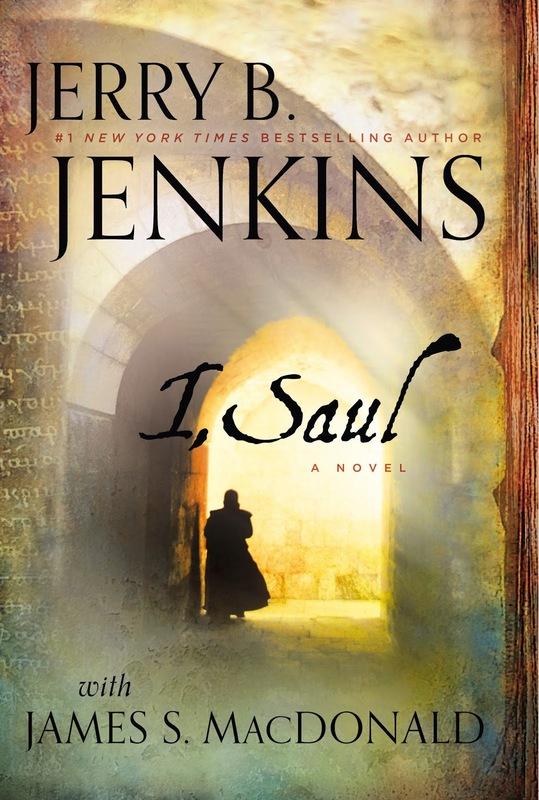 I, Saul is available at your favourite bookstore, even amazon.ca and amazon.com. Who are Hal & Melanie Young? I have had the privilege to review a previous title from Hal and Melanie Young in the past - Raising Real Men – so when the opportunity arose for me to be able to review their latest title My Beloved and My Friend I thought it would be nice to see what were their thoughts on marriage. I am glad to see that our marriage in on the right track according to these authors. We sort of embraced each other passions as we joined each other and have a fabulous relationship after fifteen years of marriage. I’m counting the years as we approached the big anniversary. I look forward to see what God has in store for the next ten years and more. Now the book is a jewel in itself because I find that many marriages would need to read the words include in this book. Actually, I seriously think that engaged couples should read it together in order to start on the right foot on their walk together. The table of content is pretty clear on what is talk about in the book. At this point in time in our life, we didn’t experience a lot of sickness but I have seen some couples (young and old) who had to deal with it at some point in their life together. I personally really enjoyed the chapter on being married to your best friend because this is exactly how I feel with my husband. To be honest, I think I am the luckiest woman in the world to have him in my life. He is attentive, loving, loves to cook, and do small surprises every now and then. We went through hard times together and we enjoy life as much as we can. He was truly a gift from God when he entered my life and I am forever grateful for God in bringing him in my life. I am still reading the book and even though I have a wonderful relationship with my husband, I think I can still glean some wise counsel through these pages. I am looking forward to see what they will say about money and see if our ways of dealing with our finances is similar to what they are doing… Watch out for a more detailed review of the book in 2014 and a great giveaway that will be happening to celebrate the release of the book. You can pre-order the book My Beloved and My Friend via the website for the price of 12$ on pre-order. November is usually a time of celebration for Americans with their Thanksgiving being in that month. For us Canadians, we have celebrated Thanksgiving earlier in October – mostly due to the fact that our harvest is a done before our neighbours at the south. Nevertheless, I wanted to be part of the review team of the Stories of the Pilgrims and proceeded to listened to this before our Thanksgiving week-end. I received a download of the recording and a pdf study guide. The story begins with Queen Anne's visit to Scrooby Inn. Stories of the Pilgrims tells, in story form, the everyday life of the Pilgrims in England and Holland, of their voyage on the Mayflower, and their adventures in the New World. The Brewster children and other Pilgrim boys and girls are the center of interest. This is a wonderful recording for a family to listen to together in the weeks before Thanksgiving. We usually occupy ourselves listening to audio stories while we drive to swimming. So one day in October as my kids were requesting another audio series we usually listen I said: “No this time we will listen to something that I need to review.” There was disappointment voiced and my oldest was somewhat annoyed at the disturbance in the routine we usually have on Wednesday. “Trust me. It’s going to be good. We will learn about the Pilgrims and how they came to celebrate Thanksgiving.” The oldest son looked at me and was not impressed with the change. Nevertheless, I persevered and started the Stories of the Pilgrims. And so our "adventure” began. Well, imagine having a grumpy 7th grader because he can’t listen to our usual audio stories slowly reacting to what we are listening in the truck as we drive to and from Co-op and swimming. The kids quickly got interested in the story and enjoyed listening to it while we drove. My oldest child even started asking for it every time we would get in the truck…. Yes the same child that didn’t enjoy the interruption in his Wednesday routine. So during the weeks leading to our Thanksgiving the kids and I listened to the beautiful story of the audio version of Stories of the Pilgrims. The Study Guide was also provided as well though when I got it we were way into the stories and too far along to embark on a testing the comprehension of the stories. But we talked about what we listened and knew exactly what they were talking about when they mentioned the rock of the pilgrims. You see, a couple of years ago, we were in the area of Plymouth, MA and went to explore the area and saw the Mayflower anchored in the bay (a replica). Even if the audio of Stories of the Pilgrims is a product which is historically linked to the Americans, we enjoyed listening to it and discovering how Thanksgiving came to be for the Pilgrims. This audio was definitively an history lesson as well as a great reminder on how hard the people had to work when they arrived in the New World. We could easily juxtaposed what we have learned on this audio to life in Canada in the early days. If you would prefer to read "Stories of the Pilgrims" to your children with the real book version or while listening to this story, go to www.yesterdaysclassics.com. The audio version of Stories of the Pilgrims will last 4 hours 10 minutes. The price for this product during the month of November 2013 will be 15$. You can also purchase the Pilgrims Study Guide for 5$ as well. You can purchase both at Jim Hodges Audio Books. Please note that the regular price for the download version is 18$. You can also opted for the MP3 CD version which is available for the price of 25$. There is fantastic giveaway from Jim Hodges Audio Books in celebration of our Stories of the Pilgrims launch. The winner of this incredible homeschool giveaway will receive one of each download offered through Jim Hodges Audio Books! This is an amazing prize value worth over $700 and featuring hundreds of hours of quality listening for your family. The Grand-Prize will include all of the following titles (40 recordings and over 400 hours in all). To win this impressive collection of audio CDs, please follow the instructions below. Disclaimer: Thanks to Bow of Bronze and Jim Hodges Audio Books for sending me the above mentioned products for review purposes . I was not monetarily compensated for this review. Please note that the review was not influenced by the Sponsor in any way. All opinions expressed here are only my own. When I was offered the book Forgiveness to review, I wasn’t sure if it could speak to me but I knew that somehow I needed to read it and review it in order to let others know about it. I was touched by the testimonies and realized that if we are not careful we could easily fell into the trap of unforgiveness as life goes by. The testimonies are powerful and will encourage you into reading more from Matthew. Matthew West takes the time to expand on the theme of the testimony, sharing Scriptures and encouraging you to pursue forgiveness. The stories included in this book are real – real people who talked to Matthew West. I have discovered also that Matthew always takes the time to visit children’s home, addiction recovery centers, and women’s shelters in wherever city he is for a concert. I applaud his effort to go encourage people in need. Everyone needs encouragement and uplifting every once in a while no matter the walk we are doing. I really like the story of Jordan and the section Matthew West wrote following that testimony. Titled “Hello, My Name is” I can relate with it somehow because God has spoken to me on being my Father many times since I went through the healing ministry I mentioned above. He gave me a specific scripture reminding me that He will not forsake me or abandon me. He has spoken through the leader on the ministry on the specific on discovering my relationship with him as His precious daughter. So when I hear the song of Matthew West I sing along that I am a Child of the One True King. This book is well written and present numerous testimonies in order to encourage you to pursue forgiveness above all things. I consider that it’s the first step toward healing. May God speaks to you while reading this book and may He guide you on the journey of forgiveness. Thank you Matthew West for writing a book on this subject and on how we can overcome the impossible. 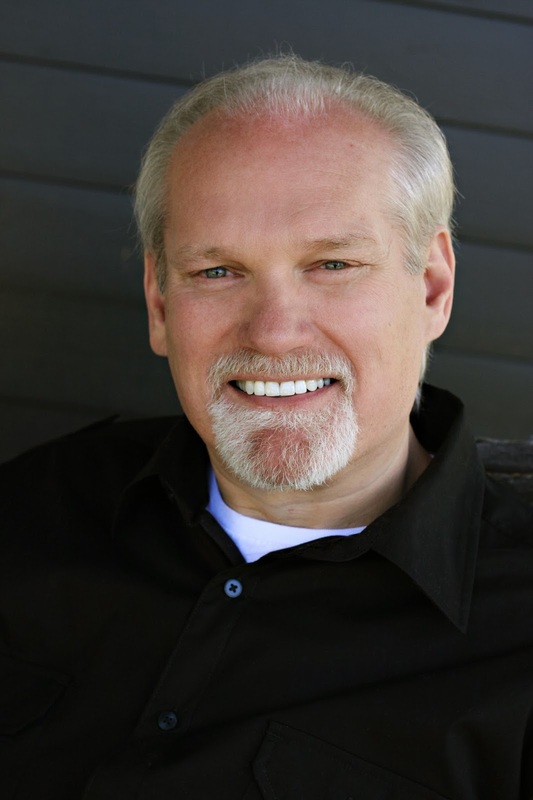 Hear Matthew signing about forgiveness from his new CD. Forgiveness is available for purchase at your favourite bookstore, even amazon.ca and amazon.com. Not everyone is willing to give candies and chocolate to kids at Halloween. My kids got some toothbrushes one year from a dentist on a street near our house. We also got some unusual items from dollar stores every once in a while. Did you know that Hasbro Canada is offering fun items to give away for Halloween? Most of you are probably familiar with the cute little Play-Doh containers that might find their way in your child’s Halloween bag for the past couple of years. But Hasbro Canada do have other options for you. These options are better known as Blind Bags. Blind Bags have been created in order to offer fun little things to give away on special days like Halloween. Let’s see what Hasbro Canada has to offer this Halloween! The Play-Doh Halloween Bag contains 15 containers in fun colours like purple, white, black, orange, green and yellow. Who needs treats when you can hand out colorful, creative fun one can at a time? These are perfect for little ones ages 2 years and up. Build your own Transformers adventures with the 2-in-1 Micro-Changers figure in this Mystery Pack. Each Mystery Pack includes a 2-in-1 figure. In all you have 12 different ones to collect - Autobot Springer, Inferno, Quickslinger, Rampage, Insecticon, Singe, Decepticon Hook, Warpath, Dirge, Blast Off, Decepticon Bludgeon, Arachnid. These Blind Bags are perfect for ages 6-12. Say hello to the newest addition to your LITTLEST PET SHOP collection. These Bling Bags contains 24 different animals from the Littlest Pet Shop. They are perfect for kids ages four and up. These Blind Bags contains one of the ponies from Equesteria. In all 24 different ponies can be collected - Flutterfly, Pinkie Pie, Rainbow Dash, Rarity, Applejack, Minuette, Twilight Sky, Roseluck, Crimson Gala, Showshine, Mosely Orange, Sassaflash, Cherry Spices, Aethyst Star, Merry May, Magnet Bolt, Electric Sky, Royal Riff, Berry Green, Peachy Sweet, Chance-A-Lot, Trixie Lulamoon, Twilight Velvet, Twilight Sparkle. Each bag contains a pony figure and a collector card. They are perfect for ages 3 and up. The Halloween Play-Doh bag and the mystery bags of Transformers, Littles Pet Shop and My Little Pony can be found at your favourite toy store. The book is about cheese in all its many glorious varieties. What it looks like, what it tastes like, where it comes from, what you should do with it and why, how to choose a cheese you'll like and how best to enjoy it. It gives you an in-depth understanding of the world of cheese - the science, the smells, the succulence. The core of the book is formed by the Directory Spreads, packed with clear and expert information about each cheese and illustrated with excellent photography. The cheeses are arranged by country, each section written by an expert "cheesie" from that country. For the novice, the intermediate and expert cheese eater, it will become the undisputed best guide to the world's cheeses. My husband loves cheese particularly the strong kind. And when I saw this title in the Tasty DK boutique I knew that it could be interesting for my husband. Whenever he can try something new, he will jump on the opportunity. I remember driving in the country once and he saw a sign announcing you can purchase fresh goat cheese at a farm. Needless to say that he had to stop and try it out. So we went to the farm, entered the small store and tasted goat cheese… Personally, I couldn’t care less about it because I find it tastes as the animal smells. But he liked it and purchased some on the spot. I will admit I am picky about cheese. While I like the soft and semi-soft kind, my husband prefers the strong and flavored ones. Mind you I am always willing to try it and sometimes I discover some new flavours of cheese that I like. Introduction: understanding cheese, using this book, fresh cheeses, aged fresh cheeses, soft white cheeses, semi-soft cheeses, hard cheeses, blue cheeses, flavor-added cheeses, the perfect cheeseboard. France: Beaufort, Brie de Meaux, Comté, Epoisses de Bourgogne, Reblochon de Savoie, Roquefort, Sainte-Maure de Touraine. Italy: Gorgonzola, Mozzarella di Bufala, Parmigiano-Reggiano, Taleggio. Spain and Portugal: Mahòn, Manchego. Great Britain and Ireland: Cheddar, Stilton, Yarg Cornish Cheese, Caboc, Caerphilly. For each cheese presented in this book – and there are about 750 cheeses listed in it – you will get the name, an introduction, tasting notes, how to enjoy it, a map, a photograph, a scale, and a table containing the following information: region, age, weight and shape, size, milk, classification, and producer. Every now and then in each section of the book, you will get a more detailed presentation on specific cheeses (see list above). In these pages you will get an history of the cheese, and get an eye bird view on how they make it. Essentially, this book is a great gift for the cheese lover in your life. It will open up new flavours to try, new cheeses to experience and new taste buds to develop when it comes to cheese. As I flipped through the pages, I immediately went to the ones from my birth province – Quebec. I have also spotted a cheese that I would love to try out one of these days – Le Cru des Erables which is made in an old maple syrup shanty then washed in a local maple sap liqueur from Les Fromages de l’Erablière. Sound delicious to me! Not a fan of cheese? No problem. For a limited time, DK Canada is offering a special prices on a variety of books related to cooking and drinking. If you don’t like slow cooking, you might want to swing by their Food and Drink Boutique to see if there would be anything you would like to discover. There is something for everyone in the family whether it is to brew your own beer, discover wines or cheese, expanding your baking skills, learning to preserve food or simply discover gluten-free recipes. Whatever your reasons to expand your tasting buds, there is a book for you at DK Canada. Bon Appétit! I was recently approached with an opportunity to do a post on technology for Staples. I was delighted and agreed to the offer they made. In exchange of a generous gift card to the store, I would write a post on technology and also offer a giveaway to my readers. Before I proceed to let you know about the giveaway, I want to tell you what I will be writing about. The more the time went by while I waited for the gift card, the more one specific idea was coming to my mind. I love my iPad but I really think it is bulky when I want to read before going to bed. It was heavy and not quite easy to manipulate. What if I decide to take the gift card, invest my special account money and sell my current iPad in order to purchase an iPad mini. So I talked about the idea with my husband and he really liked it. He had seen me trying to squeeze the iPad inside my purse and seen how heavy my purse had gotten when doing so. He knew I wanted to read when in bed and that the first generation iPad – the one I own – was very heavy for my wrist. So my next step was to let my contact know of our idea which was accepted. Now it was just a matter of weeks before the official announcement of Apple about the new iPad mini came because after all it would be a little bit silly to purchase the current iPad mini when a new one is announced… The announcement arrived on October 22nd, 2013 and the new iPad mini with Retina Display will be released in November which means – I have to wait a bit… Bummer! But for the purpose of this review, I will be presenting the numerous differences between my current iPad (first generation) and the new one that I am planning to purchase when it comes out. First of all, I really like the fact that the new iPad mini is thin and light which makes it very interesting for me when I want to slide it in my purse to carry it around. It weights literally less than a pound which is fabulous weight wise. The size itself makes it more portable for me and easier to handle when waiting for an appointment or at the dance lesson of my daughter. Right now, when I bring my first generation iPad, I usually hold it with both hands while reading because the weight hurts my wrist on one specific hand. The smaller size will make it easier for me to handle with one hand if needed. Below you can visualize the difference in sizes between my current iPad and the new iPad mini schedule to come out in November. The new iPad mini is small to fit in one hand yet possess 35 percent more screen than a regular 7” tablet on the market. The photo below show the difference of size between my current iPd (1st generation) and the dimensions of the iPad mini that will come out in November. The second attractive feature for me concerning the new iPad mini is the 7.9 Retina display. Apparently the photos will be more detailed and vibrant while the text will be crisp and clear. The resolution of the screen is apparently higher than the one on an HDTV. 3.1 million pixels – four times the resolution of the previous iPad mini which is still in stores right now. Though the new iPad mini will have the new A7 chip, advanced wireless and the new iOS7, the thing that excites me the most on it is definitively the iSight camera with its 5 megapixel capability and the fact that I could take stunning pictures anywhere I am with the iPad mini. Currently, the only device I have that has a camera is my iPod 4th generation and trust me when I saw the pictures are not that great. I find them very grainy and not good quality. The iSight camera will offer 5Mp photos, autofocus, face detection, backside illumination, five-element lens, f/2.4 aperture, and much more. Besides, I will be to do video recording as well with 1080p HD video recording, video stabilization, face detection and 3x video zoom. I seriously think that this could replace my current digital camera. Another fun thing that I will get with the new iPad mini is the Photo Booth – something that my husband has on his iPad 2 that is a ton of fun… It’s easy to use and will bring laughter guaranteed in your household - guarantee. I will admit that I am a bit jealous of this fun app on my husband iPad but I am so looking forward in using it with my new iPad mini. And I will get Siri as well! I have seen how useful this app can be when I see my husband use Siri on his iPhone. Quickly I will be able to find songs, files, apps and so on. With the numerous apps that we have on iTunes, it would be a breeze to find what I will need in a fraction of the time I used to with my older iPad. The new iPad mini will also come with numerous built-In apps and it will also be possible to download a bunch of free apps from Apple. If you are wondering what the price will be for the new iPad mini with Retina display, I need to precise that the Apple devices are a bit expensive. Having currently an iPad 64 GB, I was thinking of replacing it with the same size as I use mine quite a bit. So imagine my surprise and delight when I realized that the new iPad mini with Retina display will also be offered in 128 GB. No way! See that the difference of price between the 64 GB and the 128 GB is only 100$ I think that I will sell my iPod as well. That way I can have everything that I need – music, movies, books, and apps on only one device. No need to carry both when I can have a flexible iPad mini with all the things that I would like to have. It was just plain perfect! The iPad mini will be offered in space gray or silver with Wi-Fi or Wi-Fi + Cellular. I don’t need the cellular part so I will stick to the Wi-Fi only device. Finally, how can I not mention Christmas in this post? Christmas is less that two months away and some people might be wondering what to give to their love ones. If you are tight financially stop reading right now. I do not encourage getting in debt for Christmas. However, if you are financially stable (and not already in debt) and you want to purchase something special for your spouse (and child - though I think that it a bit expensive for a child…) the new iPad mini and it’s big brother the iPad Air will arrive in stores in November – just in time for Christmas. The new iPad Air and iPad mini are now announced on the Staples website. You can learn more about them there or on the Apple site. Staples has agreed to give away a router of the winner’s choice (valued up to 100$) from the selection found on their website. Once the winner is annonuced he/she will have to go to http://www.staples.ca/Routers/directory_Routers_20051_1_20001 in order to select the router he/she wants. When you choose a router, you need to look for the items that meet the needs of your home. What activities will you use the router for? Will you stream HD movies to the TV? Do you want to connect mobile devices throughout your house? It’s important to identify your need before purchasing one. A router is a great addition in your household when you have multiples computers and/or devices that can use the internet. We have one in our home and it’s amazing how easy it is to get on the our devices to download emails, check our friends facebook status, access the internet for a quick search while homeschool and print from your computer wherever you are located in the house. For our homeschool, to be able to access the internet from the living room and the dining room where we do most of our lessons is a must. But accessing the printer is also a big deal as often when my kids are done with some of the things I have given them, they will request more pages for their grammar and/or writing book (which is reproducible by the way) and I will access the file on my PC in order to print it on the laser printer in the basement. Click on the image below to access the giveaway page on facebook! Good Luck Everyone! To my readers: I engage myself in posting a 2nd post showing the new iPad mini that I will purchase in November when it becomes available. No specific dates are mentioned at the time of the posting of this post for Staples. However, I am looking forward to share with you my experience with the new iPad mini with Retina display. As I mentioned a couple of post ago, my husband and I are slowly planning a possible trip to Florida in 2014. If things continue to go as they are going right now, our dream to bring the kids to Florida will become a reality. So during the winter season – since our RV is hibernating – I will try to write about planning a trip with kids, how to be organized, apps that could be useful and so on. To be honest, I am very excited about this possibility and look forward to see if we can bring the kids to Disney and other theme parks. A week ago, I have downloaded the Florida Theme Parks app to check it out. The app was presented as though it contained numerous theme parks maps. However, on iTunes I quickly saw that it a note dated June 5th, 2012 was mentioning that some maps were outdated and a new release would come out. This note should be removed because if you check out the What’s New in Version 1.5 which was uploaded on June 25th, 2012, you will see that all maps are updated and it support the iPad Retina Display. Now having said that, what can we find in this app? Many theme parks maps are included in this app – Walt Disney World Magic Kingdom, Walt Disney World Epcot Center, Walt Disney World Animal Kingdom, Walt Disney World Hollywood Studios (MGM), Universal Studios Florida, Universal Studios Islands of Adventure, SeaWorld Orlando, The HolyLand Experience, Busch Gardens Tampa, and Weeki Wachee Springs. Once the app was installed on the app, I was able to browse it. Essentially, the app will offer you the maps of the above mentioned Theme Parks in Florida as an image. That’s about sums it all. No way of pinning what you have seen or select places you want to visit with the kids. I must admit that I am a bit disappointed with this app. I expected a bit more but on the other hand it’s always nice to have the maps at the tip of your fingers if you need them. Besides the app is absolutely FREE so you can’t complain much when you didn’t pay a penny for it right? Anyhow, I find that having the maps in advance on my iPad is great because I can quickly determine if the theme park is work visiting or not. Mind you most of the maps offered on this app are great for planning. However, I dislike the advertisements showing at the top of the app when I use it. Definitively not my piece of cake! Whether you use an electric slow cooker or a more traditional oven or stovetop, slow cooking is a wonderful way to prepare wholesome, home-cooked food with the greatest of ease. Celebrating slow cooking in all its forms, The Slow Cook Book includes 200 recipes ranging from typical slow-cook dishes-hearty, warming stews and pot roasts-to more surprising fare such as cakes. Showing two methods of slow cooking for each recipe—one using an electric crock pot and the other using a combination of traditional pots, pans, stovetop, and oven—The Slow Cook Book demonstrates step-by-step techniques and provides everything you need to become a slow-cook expert. I’m always open to review a new cookbook. My family is always willing to try out new recipes. So it’s a perfect combination when I see a new cookbook that looks particularly interesting at DK Canada. And with my husband working at a contract on the Gatineau side, I know that his driving will be longer. Seeing that we are homeschooling and sometimes we can get "late” on preparing supper, I thought that it would be nice to explore new recipes for the crockpot! And this title was perfect for our new adventures in preparing meal in advanced. I am not a stranger to the slow cooker but I will admit that we usually do the same recipes all the time. To spice up our repertoire that is nothing better than a new recipe book. As per my tradition when I review a cookbook, I decided to do a recipe and share it with my readers. There was many recipes that were mouth-watering in this book and I had trouble picking one. But since we had pork ribs in the freezer, I decided to use them in a new recipe. Consequently, I chose to make Asian pork ribs which is found on page 294 of the book. Slow Cooker prep 5 minutes cook auto/low 8 hrs. Preheat the slow cooker, if required. Chop the rack into ribs and put them in the slow cooker. Season with salt and add the peppercorns. In a bowl, mix together all the marinade ingredients, add to the slow cooker and turns the ribs to coat. Cover the slow cooker with the lid and cook on auto/low for 8 hours. Remove the ribs from the slow cooker and serve with rice or on their own while piping hot. Garnish with the scallions. Traditional Method prep 5 minutes cook 2-2 1/2 hrs. Put the rack of ribs in a large heave-based pan and cover with water. Season with salt and add the peppercorns. Bring to a boil, then reduce to a simmer, partially cover with the lid, and cook for 1 to 1 1/2 hours until the meat starts to come away from the bone. Remove the ribs from the pan with tongs and set aside in a baking pan until they are cool enough to handle. Preheat the oven to 325. IN a bowl, mix together all the marinade ingredients. Chop the rack into ribs and put them in a large Dutch oven. Pour the marinade over the ribs, turning them to coat. Cover with the lid and put in the oven for about 1 hour, keeping an eye on them to check they don’t dry out completely – they may need turning in the marinade. Remove and serve with rice or on their own while piping hot. Garnish with the scallions. We had two racks of ribs in the freezer that we got at an amazing price thanks to the quick eye of my mother-in-law. At first I was thinking to do one rack in the slow cooker and one in the traditional oven in order to compare both ways. But I will admit that after reading the part of boiling for one hour to one hour and a half in the traditional method, I quickly discarded this option because I just simply didn’t have the time to deal with this part of the cooking. So since we have two slow cookers (it’s perfect when you bring one at the RV), we used both of them to cook the two racks. My second son helped me to prepare the marinade and we didn’t have to worry about anything during the cooking time. Our supper was delicious. We serve our ribs with mashed potatoes and tomatoes. Almost everyone loved the new recipe. I say almost because our sweet daughter is not too fond of ribs so it wasn’t a huge hit for her… I am not too fond of them either but I must admit that this new recipe had potential. The boys in the family really devoured theirs ribs in no time and quickly asked for seconds. All the ribs were gone after the meal was over. My only disappointment is that not all recipes is accompanied by a photograph of the meal prepared. I personally like to see what I will get. What can I say, I am a visual person and love to visualize the end product of a recipe. Though I already spotted another recipe that I would like to try which doesn’t have a photograph – Mexican meatballs. Just the title itself is stirring my interest and the fact that you can freeze the meal is great too! For a limited time, DK Canada is offering a special prices on a variety of books related to cooking and drinking. If you don’t like slow cooking, you might want to swing by their Food and Drink Boutique to see if there would be anything you would like to discover. There is something for everyone in the family whether it is to brew your own beer, discover wines or cheese, expanding your baking skills, learning to preserve food or simply discover gluten-free recipes. Whatever your reasons to expand your tasting buds, there is a book for you at DK Canada. Bon Appétit! The Slow Cook Book is available at your favourite bookstore, even amazon.ca and amazon.com. In Stasi Eldredge’s most vulnerable book yet, she writes frankly about her own struggles with self-worth, weight, and her past as she shows readers that change in their lives is possible. Becoming Myself is for anyone who wonders if her life will ever change-if she will ever change. Eldredge teaches readers that God wants them to participate in their transformation as he completes his good work in them. She invites women to look at their pasts, especially their mothers, with honesty and mercy and to look toward their future with hope. An exploration of a woman’s true self, Becoming Myself will help women understand their identity and learn more about the God who beckons them to come closer. I am no stranger of the books from the Eldredges. So when I got the opportunity to review the latest book from Stasi Eldredge, I debated it because at first I didn’t think it would touch me. But then I watched the video on the David C. Cook website and I was hooked. I thought that I could glean some things from this book! But I didn’t expect it to affect me so much. As I read the first chapters, I started making notes on the side and underline the sentences that touched me. I mean the chapters are very interesting but somehow God was speaking to me through the pages of this book. Then I arrived to chapter four – our mothers, ourselves: part 1 – and then I lost my countenance... I cried while reading. I was so messed up that I had to put the book aside. But I knew that the words I was reading were truth…. poking at me, pointing me to pursue healing on this specific issue. Worst part is that after chapter four comes chapter five which is our mothers, ourselves: part 2. Which means I am not done with the crying yet. I know that I am on a journey of healing and discovering of who I am in God and this book is my next stepping stone toward healing. The process was started back during the summer of 2012 and I am far from being completely healed. Stacy Eldredge is pouring her heart to the reader on the issue of becoming the person you are suppose to be in order to fulfill the dreams that God has for you. You will read her own personal life experiences as well as her wisdom on specific subjects like accepting ourselves, fear, suffering, worship, faith and so on. I am gleaning so much as I read this book that it is almost overwhelming at times – that’s the reason why I have to put the book aside from time to time so that I can decompress from the emotions and the hurt that is coming from deep inside me. I seriously think that this book will be beneficial to all women from all levels of life. Whether you are a young woman starting to spread her wings through life or a grand-mother loving her grandkids to pieces, this book is a jewel for you. It will help you discover your true calling even if it get you through some strong emotions as you read it. I believe in healing myself in order to be more effective for God. This book is wonderful to explore the potential I have in me. I strongly believe that all Christian women should read it. Becoming Myself is available for purchase at your favourite bookstore, even amazon.ca and amazon.com. Disclaimer: I received a copy of the book for review purposes from David C. Cook and Graf-Martin Communications, Inc. I was not monetarily compensated for this review. Please note that the review was not influenced by the Sponsor in any way. All opinions expressed here are only my own.